(Africa News)More than 700 thousand migrants held in Libya are to be evacuated urgently. 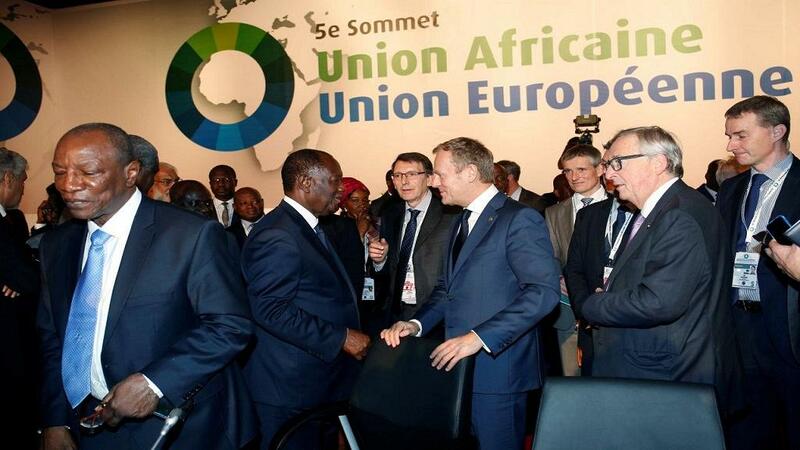 The question of migrants and their mistreatment dominated the just concluded AU-EU Summit, where this immediate move to save the mostly sub Saharan Africans held in Libyan detention camps was agreed on Thursday. While Morocco has offered to facilitate air transport for the return trips, African and European leaders want networks of smugglers destroyed. I think to say today that there are not enough legal ways of immigration is not correct. Last year, the European Union countries issued almost 3.4 million residence permits to nationals of developing countries and Middle East and Africa citizens are the main beneficiaries. “We decided to set up Special Forces in some countries to fight against the traffickers and then to seize the accounts,” Alpha Condé, President of Guinea. “President Deby seized 18 billion, president Issoufou even more, and President Macron informed us that there are also accounts in the Middle East, Dubai and the secretary general of the UN said there are also accounts in Europe”, Condé added. When Europe was asked to open its doors to young Africans during the summit, the European Council president, Donald Tusk, said they were already helping. “I think to say today that there are not enough legal ways of immigration is not correct. Last year, the European Union countries issued almost 3.4 million residence permits to nationals of developing countries and Middle East and Africa citizens are the main beneficiaries”. An alternative solution discussed is the need provide jobs and financial support for youth. The situation of migrants in Libya has topped discussions at the AU-EU Summit in Abidjan, but their safety and repatriation depends on how fast the African and European leaders will act.